Households in the UK that install rooftop solar panels from April will be giving away any surplus solar power generated for free, according to a Guardian report. Right now, the United Kingdom does not have feed-in tariff schemes like the ones we have in Australia. In Australia, a feed-in tariff (FiT) is paid to solar system owners by their electricity retailers for each kWh of energy exported from the solar installation to the grid. In the UK, solar installation owners earn 5p (about 9c) per unit of power they export to the grid. However, other electricity users, not energy retailers, foot the bill for this. In addition, the scheme is due to wind up at the end of March. From April, big energy companies must offer FiTs, in effect catching up to Australia’s system. However, it could lead to solar panel owners giving away clean energy for many months, given that it will take time to implement the new FiT scheme. The new FiT will have no minimum guaranteed price. 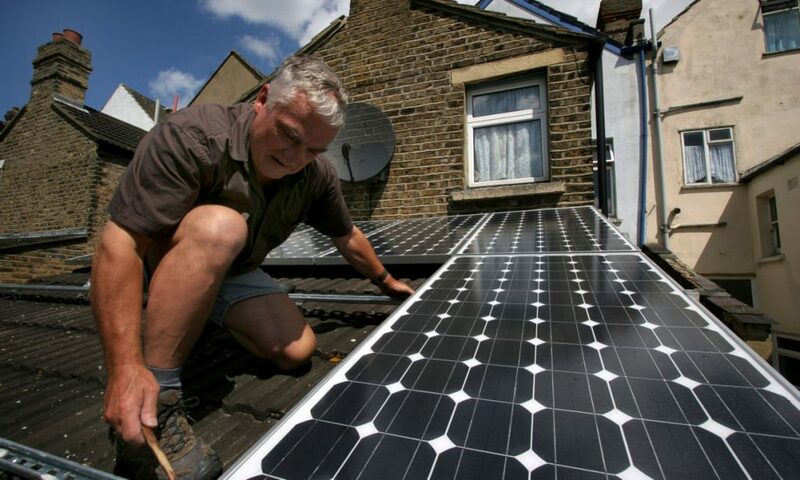 The UK’s Solar Trade Association has criticised it for that reason, saying it could leave solar consumers out of pocket. In Australia, households and businesses with solar installations can earn FiTs, offered by energy companies, on any surplus solar power they generate and export to the grid. FiTs differ between the states and territories as there is no national scheme. Also, while energy companies are free to offer different rates, a minimum rate usually applies. In Victoria for example, the minimum guaranteed price is 9.9c per kWh. Victoria is also the only state at present to offer time-of-use rates. This means if you export to the grid at peak times, you earn a higher rate than at other times. Right now, the peak tariff offered in Victoria is 29c/kWh between 3pm and 9pm on weekdays, offered by EnergyAustralia’s time-of-use tariff. A FiT scheme can make rooftop solar much more cost-effective. It means that as well as generating your own electricity, you can also earn income by selling surplus solar power. By doing this you can reduce your electricity costs and bills even further.